Warriors co-promoter, Barry Bishop says they now have to sit down and decide who will be in the Wizards squad – “no easy task as we have several contenders”. 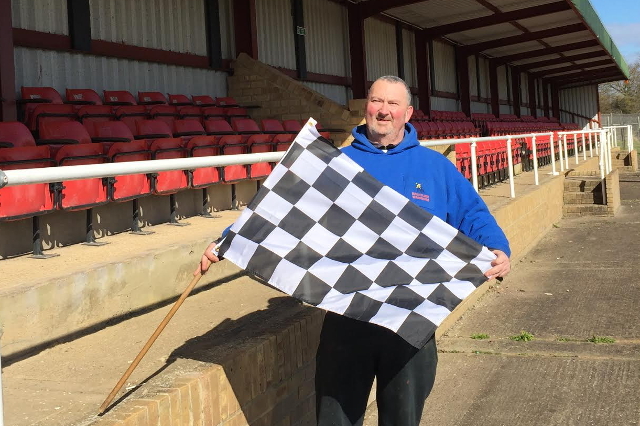 In addition to a full programme of National League speedway, Island supporters will be delighted to hear that the ‘Wightlink’ Wizards are ‘good to go’ when the racing season starts in April and in an unexpected change, the Midland and Southern Development Leagues have amalgamated to form one competition in 2019. Joining the Wizards as definite starters this year will be Birmingham Bulls, Carmarthen Dragons (based at Stoke), Milton Keynes Knights (based at Birmingham), Plymouth and Reading Racers (based at Eastbourne) whilst there is also the possibility of Weymouth Wildcats coming to tapes if they can secure a home base. Clubs will be nominating squads of six riders and will meet once home and away over the traditional six heat format with the title being decided on league points. “Last year we introduced our fans to the Wizards and they were warmly welcomed by everybody. These mainly inexperienced riders gained valuable track time in a competitive racing environment and they were a credit to our club. “Through My First Skid and the Development League I believe we have the building blocks to help young riders aspire to a place in the Warriors National League team. Whilst the restructure of the competition was unpredicted, it does make sense given the number of teams and the nomadic nature of some of them.